Knowing what a client wants can be a challenge for realtors, but at Green Tree Realty, owner Veronica Schneider and her team listen and ask questions to find the perfect home, income property or vacation property for each family. Green Tree Realty opened its doors in 2006 at its Portland office. This year Schneider opened a Windham office to handle the business in Windham, Raymond, Standish, Casco, Naples and beyond. The company is not limited to one area and has sold property in Freeport and Scarborough as well as this area. “My husband and I own a lot of investment properties. It made sense to open my own real estate office,” she said. The majority of clients come from word of mouth referrals, and Green Tree Realty is looking for new business whether a person wants to sell or buy homes or investment properties. The first time Schneider meets with a prospective client, she wants to see if the relationship is compatible because not everyone is meant to work together, she said. She wants her clients to be honest, that’s number one in her book. She also looks for loyalty and those who can communicate effectively. Green Tree Realty has 10 brokers/realtors in the office. Anne Daigle works exclusively out of the Windham office, which is only open by appointment because as realtors, they are on the road a lot. When it comes to having a specialty in the real estate field, she doesn’t feel that they do one thing better than any other. She knows investment properties because it is in her background. She purchased her first property at age 18 in Canada. She had saved the 20 percent for a down payment and then rented the property for income. There is a trend in the past year toward buying second properties in the lakes region, she said. Some clients are from Portland and coastal areas; others are from out of state. The market is active, but the biggest challenge is the low or non-existent inventory. There are houses in every price point, whether down or upsizing. With the market tight, it is very common for buyers to be in a multiple offer situation and Green Tree can help work through that with its clients. When selling a home, Green Tree meets with the sellers and also brings in a stager, someone who will look at a house and see how it should be presented to would-be buyers. From new paint and depersonalizing homes to removing screens to let in 33 percent more light, it’s the small stuff that makes a big difference. Stagers can give an unbiased opinion. A $700 fix might make the difference in someone making an offer close to asking price or a house sitting on the market for a long time. 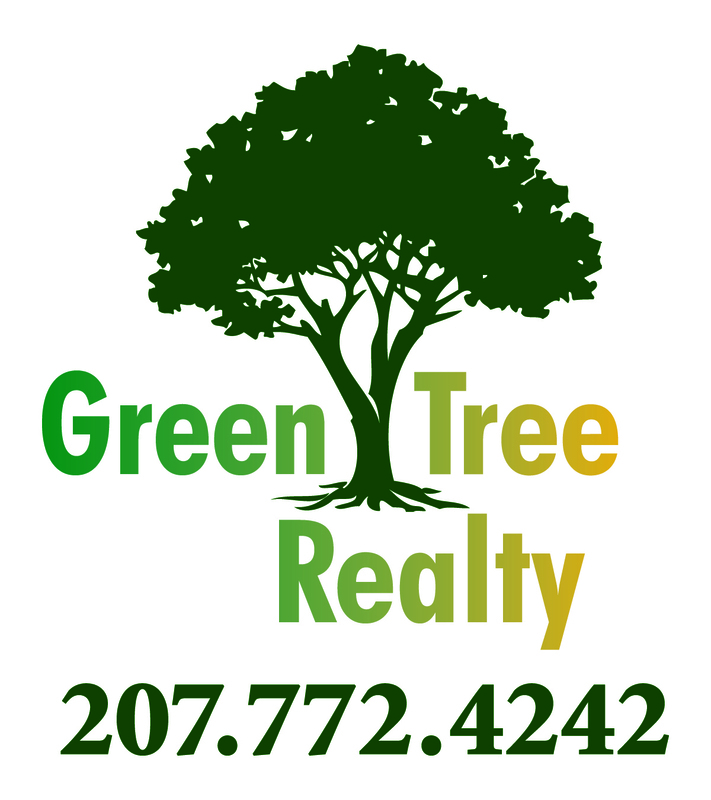 Green Tree Realty also brings in a professional photographer from Windham to take pictures of the properties. “We actually take the time to do it right. We only have one opportunity to make a first impression,” she said. Showing homes helps Schneider to know her clients better. The more she sees the more likely she will find a dream home for those clients and possibly if it doesn’t fit one family, the property may be perfect for another. “We transform dreams into reality,” Schneider said. “I’m passionate about what I do. It’s not a job to me.” When she sells a home to a family, she stays in their lives forever, she said. She makes sure they are happy and if they need anything, she is there to help. Schneider moved her family to Windham for its “sense of community. They invited us with open arms. I just fell in love with the community,” she said. With a Canadian background, Schneider is fluent in both English and French. Green Tree Realty has a very active Facebook page and an interactive website. To reach Green Tree Realty call 772-4242, email veronica@greentreemaine.com or visit www.greentreemaine.com.